After reading this, you will ask - What the hell does this post has to do with LEGO Technic? Nothing, I'd say!... Despite it refers probably still today, to the most complex machine ever made. The maximum technology exponent of mankind. But given the circumstances, I think TBs is as good to make this announcement, as any other AFOL blog or website. This weekend TLG is releasing a new Direct-to-Consumer LEGO Exclusive set! It is happening at BRInCKa 2010 in Lourinhã, Portugal (an event from PLUG) and BrickMagic in Raleigh, NC/US (an event presented by TwoMorrows Inc. and BrickJournal Magazine). 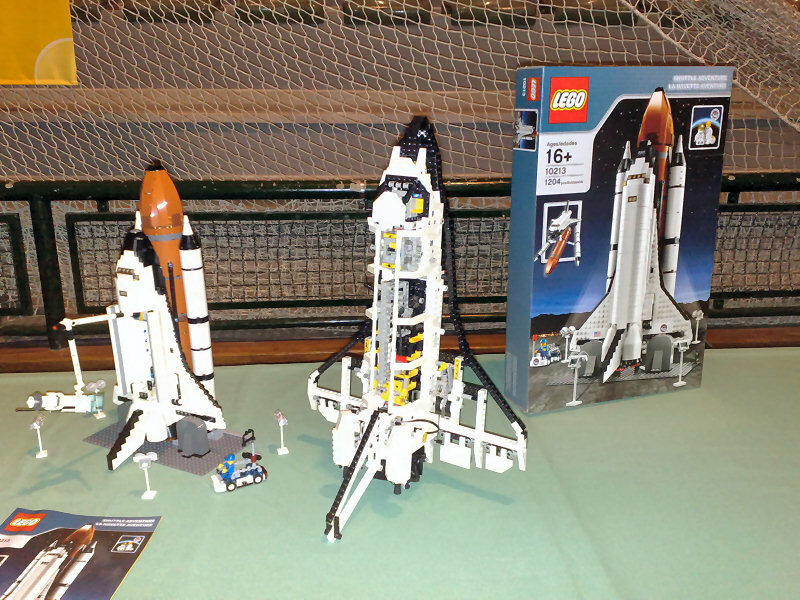 It is the set number 10213 (Space Shuttle) made at minifig scale, with 3 figures included and consisting of 1204 parts. The set should become available for ordering soon. Notice it is released in the year where NASA has plans to call for the Space Shuttle retirement from service, after nearly 30 years servicing at the space program. And also the Release Video, where Simon Kent (DTC Design Lead) tells us about the design process, how it was done, motivation for this release and so on. As you know, I'm attending the BRInCKa 2010 event where this is taking place, and it has been a great privilege to take part of this surprise! In the name of every PLUG members, I'd like to thank Jan Beyer and the LCD team to have made this special moment possible here this time. Technically , its related to technic . if you look closely at some of the pictures of it , the landing gear uses technic to deploy ! Wow this is a nice surprise thankyou TBs and of course TLC. Ive always liked the space shuttle it will be a shame to see it go. One question about this set tho. Why does it have an age rating of 16+? It doesn't look that difficult. Looks good, but is NOT a minifig scale. Way to small. Poor job on the very last model. UCS needed! The two of them can be seen side by side here.